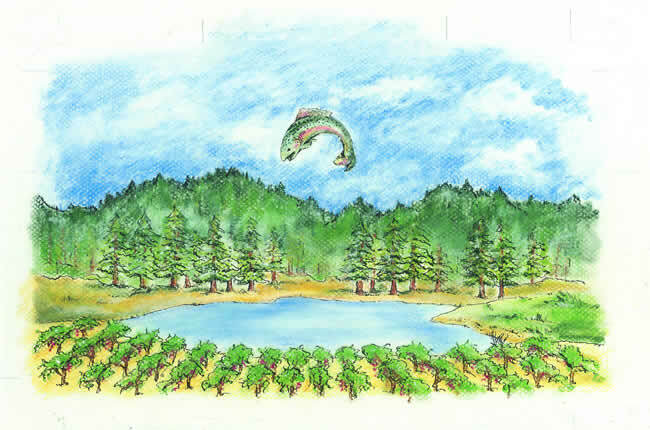 Trout Gulch Vineyards is the current evolution of zeal that P�re et Fils, Bernie and Gerry Turgeon share in their dedication to producing wines of extraordinary character. Their focus is Pinot Noir and Chardonnay from the Santa Cruz Mountains AVA but extends to include varietals and AVA's that embody time in a bottle. Their pursuit is the expression of terroir: grapes, sun, soil, water, and air. Producing award-winning Santa Cruz Mountains AVA Pinot Noir & Chardonnay from their mountain estate since 1988. The Turgeon Family extols the virtues of the Mountains, wines of unrestrained varietal character in the Burgundian tradition. Wine tasting and tours are available at the winery by arrangement, 427-C Swift Street on Santa Cruz's West Side. Special Events include Santa Cruz Mountains Passport Saturdays, Vintners' Festival, Dare to Pair, Dinner Markets as well as other scheduled Surf City Vintners' events.